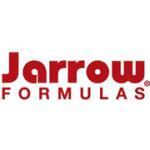 JarroSil is a synergistic formulation of highly bioavailable silicon. A patent pending Activated Silicon formula, JarroSil contains stabilized molecular clusters of silicic acid, which provide a biologically active form of silicon upon dissolution into liquids. JarroSil is manufactured in the USA using the latest technology for enhanced bioavailability, stability and improved taste. Stabilized silicic acid is converted to highly bioavailable ortho- and disilicic acids upon dissolution in liquids and in the stomach. Vegan. Store at or below room temperature. Do not put into the eyes. Follow usage directions only. Do not take this product if you are pregnant or lactating. Keep out of the reach of children.